China is the most populated country in the world with 1.3 billion people. 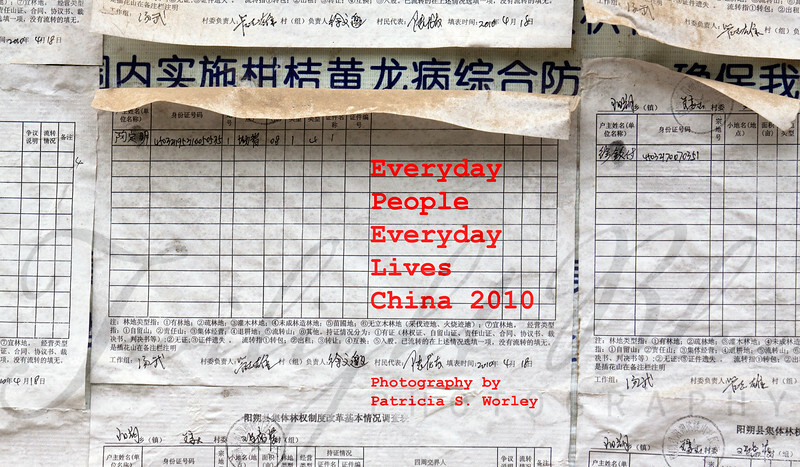 Everyday People, Everyday Lives--China 2010 depicts the uniqueness of individuals who touched my heart on my 16-day journey through this vast continent. Just as every person is unique, every person is counted. I couldn’t resists taking a shot of the 2010 census forms posted on an outdoor community bulletin board in a village near Yangshuo, Guanhxi. China is making a special effort to count everyone including the transient workers that were missed in the 2000 census. I hope this exhibit opens your heart to the everyday lives of modern day Chinese people.